梁文波，郑 军，张士军，等. 水性光油的研究[J]. 化学 与黏合，2011，33(1)：43-46，54. LIANG Wenbo，ZHENG Jun，ZHANG Shijun，et al. Study on the Waterborne Glazing Oil[J]. 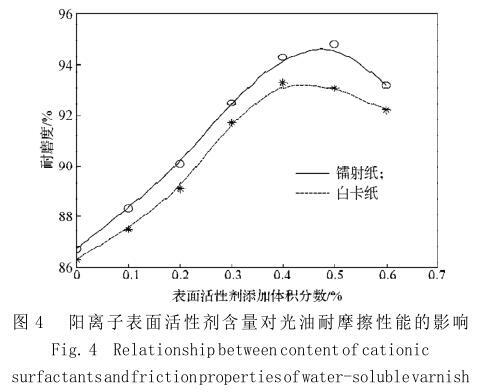 Chemistry and Adhesion，2011，33(1)：43-46，54. 屈贞财. 环保油墨助推绿色烟包印刷健康发展[J]. 印刷 质量与标准化，2013(7)：21-23. QU Zhencai. Environmental Friendly Ink to Boost the Healthy Development of Cigarette Packaging Printing[J]. Printing Quality and Standardization，2013(7)：21-23. 刘丰杰. 烟包绿色印刷工艺探索：烟包水性油墨凹印的 推广实践[J]. 印刷技术，2013(20)：51-54. LIU Fengjie. Explore of Green Tobacco Package Printing Process in Cigarette Packaging：Practice of Water-Soluble Varnish in Gravure[J]. Printing Technology，2013(20)：51-54. 高美连. 抗粘连水性上光油的研制与市场应用[D]. 郑州： 郑州大学，2012. GAO Meilian. Development and Applications of Water- Based Gloss Paper Coatings with High Adhesion： Resistance Property[D]. Zhengzhou：Zhengzhou University，2012. 庞洪秀，翟洪杰，刘三国，等. 环保水性油墨成就“绿 色”烟包[J]. 广东印刷，2014(2)：44-45. PANG Hongxiu，ZHAI Hongjie，LIU Sanguo，et al. Environmental Protection Water-Soluble Varnish Achievements in “Green” Smoke Packaging Printing[J]. Guangdong Printing，2014(2)：44-45. 王杨勇. 水性油墨用苯乙烯-丙烯酸树脂的合成研究[D]. 广州：华南理工大学，2012. WANG Yangyong. Research on Synthesis of Styrene- Acrylic Adhesive Resin for Water-Based Ink[D]. Guangzhou：South China University of Technology， 2012. 覃有学. 油墨的表面张力与流平[J]. 丝网印刷，2012(12)： 25-32. QIN Youxue. Surface Tension and Leveling of Ink[J]. Screen Printing，2012(12)：25-32. OZALP M，GEZER I，KORKUT S. The Investigation of Heat Treatment with Water-Based Varnish Double Components in Varnish Applications of Wood Material[J]. African Journal of Biotechnology，2009，8(8)：1689-1694. 杜晓萌，邓开发，邓文骏. 改善水性光油防水性的研究 [J]. 包装工程，2014，35(1)：61-63，68. DU Xiaomeng，DENG Kaifa，DENG Wenjun. 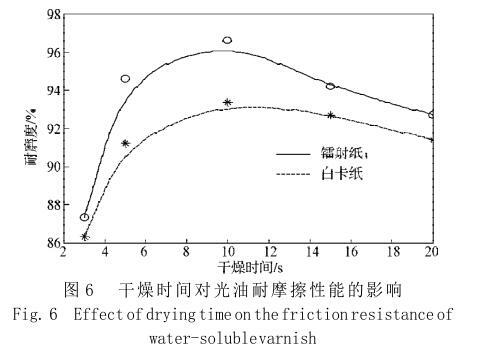 Improving the Waterproof Properties of Water-Based Varnish[J]. Packaging Engineering，2014，35(1)：61-63，68. 王少会，杨绍明，章家立. 水性上光油用苯丙共聚乳液 的合成及性能表征[J]. 中国胶粘剂，2012，21(2)：1-4. WANG Shaohui，YANG Shaoming，ZHANG Jiali. 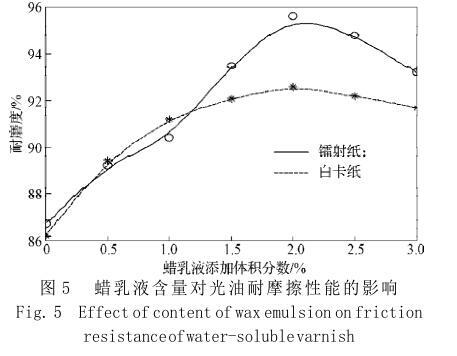 Synthesis and Properties Characterization of Styrene- Acrylate Copolymer Emulsion for Waterborne Varnish[J]. 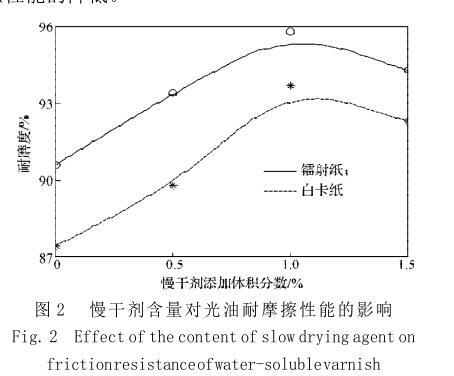 China Adhesives，2012，21(2)：1-4. 曾 渊，朱先梅，彭志勤，等. 表面活性剂对水性油墨 干燥性能的影响[J]. 中华纸业，2015(6)：33-36. ZENG Yuan，ZHU Xianmei，PENG Zhiqin，et al. The Influence of Surfactants on the Drying Properties of Water- Based Ink[J]. China Pulp and Paper Industry，2015(6)： 33-36. 欧阳向南. 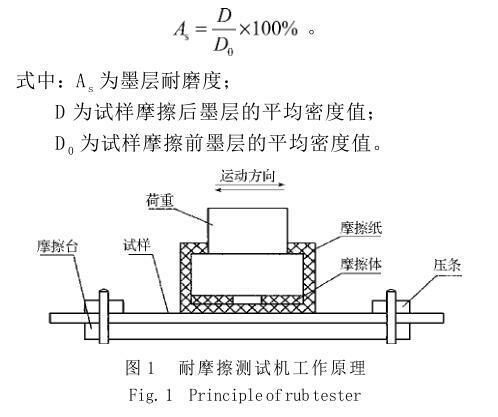 新型表面活性剂的合成与性能研究[D]. 荆州： 长江大学，2013. OUYANG Xiangnan. Research on Synthesis and Perfor- mance Evaluation of A Novel Surfactant[D]. Jingzhou：Yangtze University，2013. 赵德平，魏先福，黄蓓青，等. 影响水性光油耐划伤性 的因素[J]. 包装工程，2010，31(17)：132-134. ZHAO Deping，WEI Xianfu，HUANG Beiqing，et al. 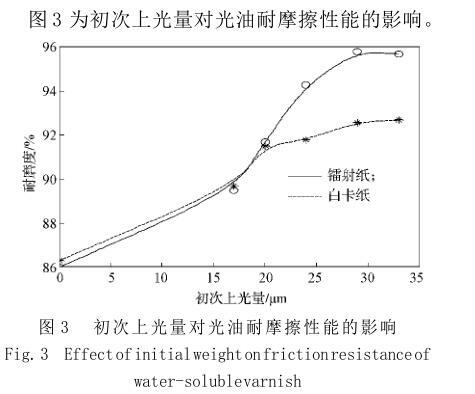 Influencing Factors on the Scratch Resistance of Water- Soluble Varnish[J]. Packaging Engineering，2010，31(17)： 132-134. KATIE S Howe，EWAN R Clark，JAMES Bowen，et al. A Novel Water-Based Cathode Ink Formulation[J]. International Journal of Hydrogen Energy，2012，38(3)： 1731-1736.